In a place where the poverty is extreme and entrenched...where centuries of attempts to help the Lakota people have failed or done more harm than good...The Simply Smiles holistic and dignified approach is working. The Cheyenne River Sioux Tribe (CRST) Reservation in South Dakota is an autonomous nation within the borders of the United States. It is home to four bands of Lakota Indians. The poverty here is staggering. The reasons are many and complex. But we are proud to say that Simply Smiles has been welcomed into this community and that real change is beginning to take hold. Click to learn more about our expansion on the Reservation! On the Cheyenne River Sioux Tribe Reservation in South Dakota, children need an oasis - a place where kids can just be kids. A place that is safe. A place that inspires. A place where smiles are created. A place where dreams can begin and be nurtured. A starting point on the path to a bright future. Simply Smiles summer camp is that place. Click to watch our youth programming in action! Support cannot be mailed in from afar - especially in a place like the Reservation. You need to be there, on the ground, living and working side-by-side with the people. Only then will you understand and know how to help. 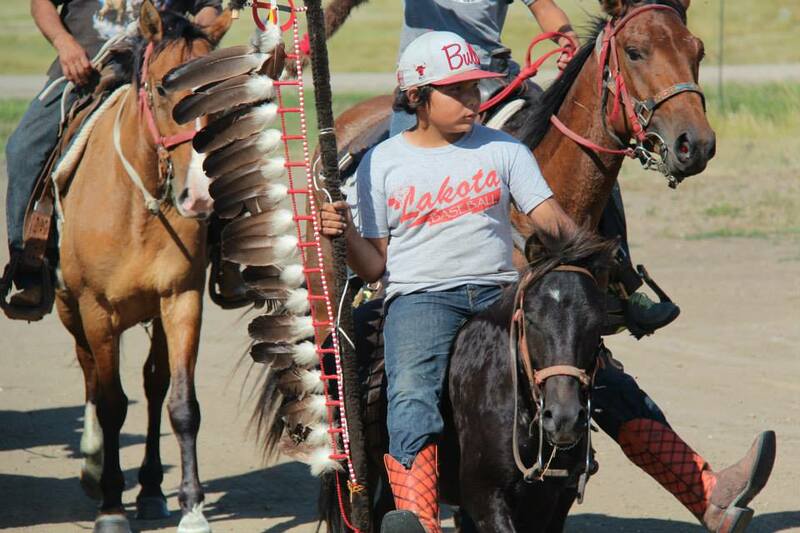 Simply Smiles was invited by the Lakota people to have a year-round presence in their town. To be side-by-side in the depth of the winter and in the height of the summer. To be true partners on a mission to make sure every child is able to have the bright futures they deserve. Isolation caused by the long winters. Generations-long family rivalries. Extreme poverty that does not leave enough basic resources to go around. For these reasons and more, the sense of community and unity has been severely fractured on the Reservation. Simply Smiles works hard to bring communities together - first, through building a communal space where people can gather and, second, by bringing people together for events where we can realize that we can overcome our differences and see that we are indeed stronger together. Being Lakota is the thread that binds the people on the Reservation together. The Reservation should be a place where the virtues of the Lakota tradition can survive and thrive. But as many of the elders will tell you, they are watching the traditional ways, language, stories, and knowledge fade away. Simply Smiles shares a vision with the Lakota people to help preserve and share this culture for us all. It begins with the basics. Shelter from extreme cold, heat, and wind. Holding the keys to a real home for your family - a home you can call your own and be proud of. Simply Smiles homes are the literal foundations for families on the Reservation. We build all of our programs on them, allowing the space for dreams to take hold and hope to dominate despair. Click play to watch an overview of our revolutionary approach to housing. At the core of our holistic approach is our care for the whole person. Our healthy living programs - including a morning walking program, a beautiful, bountiful community garden, and weekly cooking classes - provide safe, creative and meaningful outlets. It's a basic concept - self reliance. But it is a concept that was intentionally stripped away from the Lakota people. These programs are helping to teach and inspire that most powerful change agent - the belief that you can provide for yourself.